Defense Writers Group, Vice Admiral David J. Dorsett Deputy CNO for Information Dominance, Transcript of Q&A, Air Force Magazine website, 5 January 2011. Q: Good morning, Admiral. About a year and a half ago Secretary Gates said that we wouldn’t see a Chinese stealth fighter for about 20 years. I’m sorry, until 2020. He said it not once but several times, and very emphatically. Last week there were pictures circulating on the Internet, apparently blessed by the Chinese government, that show a Chinese stealth fighter. It looks an awful lot like our F-22 and F-35. Can you tell us first of all, is this actually a surprise? And is this a game-changer in the view of the Navy or in just your personal opinion? VADM Dorsett: No. It’s not a surprise. I think one of the things that is probably true, true from my observation in the last several years, is we have been pretty consistent in underestimating the delivery and IOC of Chinese technology, weapon systems. They’ve entered operational capability quicker. We frequently project, in terms of the stealth photos, there to be IOC of a stealth aircraft. It’s not clear to me when it’s still going to become operational. So is it a surprise? No. Do we need to refine our assessments better? I think so. And your second question, is it a threat to the U.S. Navy? Q: Is it a game-changer. A: I’ve been concerned about Chinese game-changing capabilities in non-kinetic vice kinetic. I am concerned about the [inaudible] ballistic missile. I am concerned about stealth fighter aircraft. 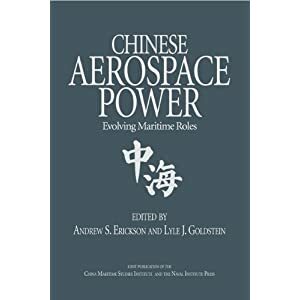 But the area and the technology that I’m most concerned about is China’s focus and attention on trying to develop capabilities to dominate in the electromagnetic spectrum, to conduct counter-space capabilities, and clearly to conduct cyber activities. That’s a greater concern for me than some of the other hardware-driven or kinetic associated capabilities that they’re delivering. 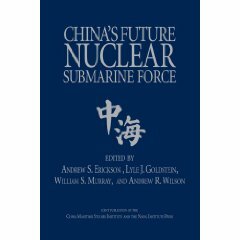 I think the other concern I have is China’s ability to become operationally sufficient in a joint warfighting, sophisticated combat environment. A: Sophisticated in a joint warfighting, complex combat environment. I don’t see China with those capabilities right now. I see them delivering individual components, individual weapon systems. Those things are being developed. But as soon as they acquire that proficiency, the question is how competent are they really going to be? So one of the areas that I focus on is how good are they at developing their operational proficiency to manage across the spectrum of warfare? And that’s one where I don’t want to get the assessment wrong. I don’t want to underestimate or overestimate. I want to get it pretty right about when we think they’re going to become operationally proficient. We’re not seeing that. We’re seeing it in individual elements of warfare, but not across the joint spectrum of the fight. Q: Let me follow up a bit. The fact that this airplane looks so much like some of our airplanes — F-22, F-35. What’s at work here? Are we underestimating the speed of their technological advance? Or are they pretty much able to enter our data systems and pilfer at will? A: I can’t really comment on to what extent they’re pilfering from our data systems. I think what you see is across a broad array of weapon systems they’re making advances. Their economy is such that they can invest and have been able to invest this decade quite heavily in their military buildup, and a stealth fighter is just one aspect of that. So the fact that they’re making progress in that should not be a surprise to us. The speed at which they’re making progress in some of these areas, their anti-ship ballistic missile, we underestimated when they would be competent [inaudible] in delivering a technological weapon of that type. We certainly wouldn’t have expected them to be as far along as they are today, if you’d asked me the question five years ago. I think this stealth fighter is part of the same issue. How far along are they? I don’t know. They clearly have an initial prototype. Is it advanced? How many trials and tests and demos do they need to go through before it becomes operational? That’s not clear to me. Q: You mentioned the DF-21. Is that a game-changer? Do you consider that operational, or is that like what we did with Global Hawk where we rushed something out to the field really before it was fully shaken out? A: I think [inaudible] has written an article on it just recently, and our assessment, Admiral Willard’s assessment at PACOM is that it has reached an initial operational capability. I think that’s true. A: Several missiles, let’s put it that way. A: First of all, I’m not alarmed. As an intelligence professional largely, that’s been my background, I am intrigued by the developments. I am quite interested in the quantities and different types of technology that have been developed that we either didn’t expect or we underestimated. I see a clear relationship between their economic capabilities and their military buildup, but I also see a direct connection between their military leadership, some of the leaders in the PLA, and how they have provided guidance to be able to advance their military capabilities. I don’t think we are overestimating. For example, while they’re developing technology capabilities, it’s just been the last year and a half, two years, that we’ve seen the Chinese Navy deploy out of area for any period of time. In I guess late 2008 when they deployed a three-ship task group to the Gulf of Aden to conduct counter-piracy operations. That was a big step for them. Three ships to the Gulf of Aden compared to what the U.S. Navy does on a daily basis is, you can’t even compare the two. The differences are great. They don’t have a great ISR, integrated ISR capability. They don’t have an anti-submarine warfare capability virtually at all. They don’t demonstrate a level of sophistication and joint warfighting. As I mentioned, while they’re delivering technology and capabilities, they are at the early stages of operational proficiency across the board. A: Yes. That’s what I’m saying, we need to look to the future and not underestimate their capabilities to develop that operational proficiency, but we shouldn’t overplay how competent they are today. Q: How many years are we talking about? A decade? Actually could you compare the United States military with the Chinese military right now in terms of percentage wise or some apples-to-apples comparison? A: That’s right. A hundred years of flight activity. So it’s going to take time for them to build that capability and they’re pragmatic. They’ve got a game plan that deals in decades. Q: On the timeline, you just said how hardware estimates in the past have been [inaudible] wrong, that they had achieved these goals much quicker than expected. [Might it not be the same about] their operating capability? A: I do believe their operational capabilities will improve. When I talk in terms of the middle years of this century, I’m using what they’ve told us their plan is. What they talk openly about developing a naval force, a capability that takes some time to mature. Q: As you go judging how these capabilities develop, can you say step by step what you were looking at? If we’re not seeing them do more out of area ops immediately, if we’re not seeing them take on aggressive action that would require some joint capabilities together right now, what are the steps that you in your current job are looking at to see them develop this? A: Can you help me with that question again? Q: We don’t want to either overestimate or underestimate how the development goes. So tell us clearly what your metrics are as you’re looking at it to judge their actual development as it goes forward. A: One thing I look at, I do look at the capability, the technology that’s being fielded. A second [inaudible] quantity of capability that’s being built. The third thing that I look at is how do they operate, how do they train their people, how are they organized? How do they command and control [inaudible] capability? Those are things that it’s hard to measure with metrics, but they’re things that you do measure and you do judge and do evaluate. Q: And you feel confident that you have the visibility necessary to make those judgments? A: I’m able to make assessments. I would love all of us to have greater insights into things that are going on around the globe. So do I have sufficient information to make an assessment? Yes. Do I have as much as I want? No. Q: What are the resourcing requirements implications of the Chinese missile given you said it’s got capability [inaudible]? Are there major improvements in the Aegis air defense system that you’re recommending or [inaudible] the edges? What are the defensive implications for the Navy and resources in the next four or five years? A: First of all, Tony, going into any level of detail would be a classified answer, and I’ll tell you, like any advanced technology that’s developed for military use around the globe, the U.S. Navy needs to develop counters. We need to be innovative in that approach. I think that’s one of the things that with creation of information dominance, we’ve been able to look at a variety of kinetic and non-kinetic solution sets to counter advancing capabilities. And relative to advanced missile systems, we’re doing that as well. It’s a vague answer for you, but it’s the best I can do. Q: Can you give a sense of whether the Aegis system is roughly capable of handling this threat? A: Because of the — I’d prefer not to answer the question. Q: On the J-20, just to be clear, this falls in the weapons programs that the U.S. is consistently underestimating China’s capability to move forward. You mentioned the U.S. has consistently underestimated China’s IOC capabilities. A: I guess I should be careful about that, if I could. We have various point targets, point technologies, point weapon systems we’ve underestimated. Have we done that across the board? No. We’ve been on the mark in an awful lot of our assessments, but there have been a handful of things that we’ve underestimated. In terms of a stealth aircraft, I think time will tell whether we ever underestimated or not. I’m not convinced that we have underestimated at this point, but it will take just a little bit more time for me to make an evaluation of whether we have or not. Q: The [inaudible] threat page, they’re hyperventilating over it. That’s not our style, but — [Laughter]. Given what you’ve seen, they may have a working prototype, but you can’t go any further than that in terms of whether it’s a threat to U.S. forces any time soon? A: Once again, developing a stealth capability with the prototype and then integrating that into a combat environment is going to take some time. And I’d have to, since I read the Wall Street Journal article today I didn’t prep myself by reading what our assessments were. So I’m ill at ease to compare the two today. Q: Admiral, good morning. The discussion about Chinese missiles and aircraft carriers and all is interesting, but what caught my attention was you saying a few minutes ago that you were more worried about the non-kinetic [inaudible] capabilities as they come on-stream. Would you explain why that’s so? And is it that we’re less prepared for that kind of warfare than we are the kinetic side? A: I think because non-kinetic aspects — the Chinese right in terms of, they call it Joint Informationalized Operations. They write about attempting to dominate the electromagnetic environment. In fact what you use throughout there, their training, their exercises, they attempt to employ a wide range of electronic warfare and electromagnetic control mechanisms. They try to really use space. So I’m not worried. I’m very concerned, I’m very focused, I’m very attentive on non-kinetic and information warfare, on trying to dominate that electromagnetic spectrum. And I see that as a key component of warfighting for the future. So we really shouldn’t focus excessively on China, we should focus on information capabilities and how nations might employ those in the future. That’s what’s got my attention. Q: Sam [inaudible] with Jane’s. Going back to the whole China question, I guess there were a couple of things that popped up in the last couple of months or so like the … administration publicly revealed that they were working on a domestic carrier program. In May. Nobody found about it. In a 500 page document it was like a sentence. The first military-to-military engagement in 5th Fleet between the PLA Navy and the [inaudible] Bahrain. Then I guess what I’m trying — those just seem like stilted and kind of digging your toe in the water of like transparency and trying to let the world know [inaudible]. 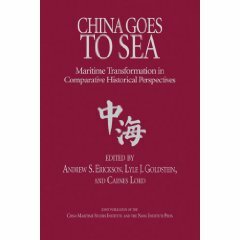 China and their intentions, especially in the maritime domain, has been such an anathema, such a [inaudible]. It’s so difficult for the U.S. to ascertain. Do you all have kind of a sense of what they’re up to? That just seems to be the question. Little individual snippets of information here and there. It’s really difficult to see what their intentions are. 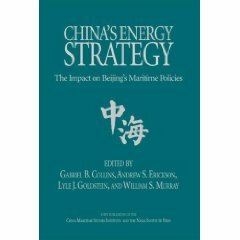 A: Over the years the Chinese military doctrine was one of hide and bide — hide your resources and bide your time. They now apparently appear to have shifted into an era where they’re willing to show their resources and capabilities. Whether it’s at a naval expedition in China, whether it’s deploying forces forward, whether it’s conveying more insights into what their future capabilities are going to be in an indigenously built carrier. So they’re in a period of shifting and providing us a little bit more insight openly, but still the lack of transparency into what they’re doing, the lack of openness remains a concern for us. In terms of their intentions, I think to me their intentions at the macro level, strategic level, were pretty clear. Again, I’m a naval officer, so I’ll focus on naval forces. They’re trying to build a Navy that is for the near term, becomes a regional power, and then over the long term their naval force, they’d like to have a regional power with significant global implications in support of their nation. That appears to be their intention and that’s pretty clear to me. They don’t have to tell me that to let me understand that’s what they’re developing. They want a naval force that can be deployed to protect their resource flow or their vital national interests, such as the anti-piracy operations. So that’s a first step of what they’re doing. Q: To follow up, apparently, I guess no one really knows, but I guess you could say in 2010 especially in the maritime domain around the South China Sea, the Chinese have been very un-Chinese. They are not hiding and biding, they are planting flags like off the coast of the Philippines. They’re making very sort of aggressive moves. It just seems a little schizophrenic sometimes about how they’re acting. Q: Is there some sort of dynamic going on inside China between like we need to be more open, and then — What’s going on there? A: Take the South China Sea. Let’s take a look at China-Taiwan. 2006, up until 2006 the Taiwan situation was a big concern to them. They have, at least for the near term, resolved the Taiwan situation sufficiently that they can focus on other national priorities. From a maritime perspective, protecting their EEZ is one. Protecting and influencing their control over the South China Sea. Their claim in the South China Sea is something that we see them doing. What we’re seeing, or what we’ve seen over the last few years is a shift in focus, and perhaps even a shift in some of their priorities. Q: Resolved it meaning politically or they feel they can handle Taiwan under any military circumstance? A: Up until 2006 I think there was, within the Chinese leadership, they were concerned they might have to do something militarily to control the Taiwan government. Since then the governments in Taiwan have, I think from a Beijing perspective, have been stable, haven’t been as threatening, and therefore the Chinese do not appear to have focused as much on the potential to have to do something militarily about Taiwan. So they’re looking at dealing with Taiwan right now from more of a diplomatic political situation than they would have five years ago. Q: Are we heading to a potential clash between the U.S. and China on access to the Yellow Sea or the South China Sea in terms of international water versus exclusive economic zone issues, the sort of differing interpretation of those the two nations have? It seems like the South China Sea has gotten a little bit better, but whenever the U.S. exercises in the Yellow Sea, there’s [inaudible] Beijing. From an intelligence perspective, what’s the situation in those two bodies of water? A: I can’t talk to you about it from an intelligence perspective. What I can tell you is that China, because they are focusing on their exclusive economic zone, they are looking at territorial disputes, is they are openly conveying their position which is different the position the United States has, different from the position Japan or Taiwan has. So [inaudible], for example, I think you asked the question about are we heading towards a clash between the U.S. and China. I don’t think so. I’d be more concerned about an inadvertent tensions, crisis, conflict over the Senkaku’s with the deployment of Chinese maritime-associated ships, having them be more aggressive around ships of another nation in areas like the Senkaku’s. That’s more of a clash area for me in the next couple of years than the Yellow Sea or perhaps even the South China Sea for the next couple of years or so. It’s hard to see how this is going to play out, but because China is flexing their muscles in the maritime areas adjacent to the [inaudible]. Q: If you look over the last two years we’ve had a situation where the U.S. and China mil-to-mil relations have gotten better, they’ve gotten worse. And there is in various different little incidents that have flared up, or [inaudible] Taiwan, [inaudible] and then rise up. From your perspective, what might break that cycle to keep a more even mil-to-mil relationship? A: I’d prefer not — It’s not my portfolio and I’d prefer not to speculate on that, if you don’t mind. I can give you a guess, and that would be the wrong thing. Let me just double check. The stealth fighter is not something that is a near term issue as far as the Navy’s concerned. It’s more of a paper airplane at this point than a real one. Again, it’s hard to say what the Wall Street Journal has reported because I haven’t had the time this morning to dig into greater detail. But a prototype stealthy aircraft is something that I would say is the front end of a capability that they’re rolling out, and should we be focused on that? Absolutely. And should we be trying to understand the implications of rolling out a prototype based on okay, when are they going to start flight testing and demoing it, et cetera, and what that schedule is. I can’t tell you that. [I can’t get any] context and insight into that right now. Q: When you say front end of a capability, for me that means that it’s not, that means it’s [inaudible]. Q: It’s a few years off. Q: He doesn’t want to have to follow up the story. [Laughter]. Q: If there are missiles [inaudible] U.S. aircraft carrier, if we haven’t got the capabilities yet to defend against that, [inaudible] sort of revamping of U.S. plans until such technologies are available to be able to [inaudible]? A: Who says we’re not revamping [inaudible]? Q: So [inaudible] positioning of U.S. assets? A: I think as you look across the board, from a military perspective, when you look at various countries, their capabilities, where there might be a tension or not, one of the great things we do in the U.S. military is we plan. When we plan, we don’t do it statically, we plan, we evolve [inaudible]. And relative to China and their interests, their more assertive stance in the South China Sea has not gone unnoticed. It’s something that we are [inaudible] assessing and yes, planning [inaudible] to that — diplomatically, politically, militarily. Q: [Inaudible] further away for the moment to avoid risk of any kind of [inaudible]. A: It’s something I’d prefer not to talk about, I guess. Once we get to specific [inaudible] or issues of how we’d respond to a crisis, it’s not something that I’d choose to delve into. Q: You answered my question already on hardware and non-kinetic so I’ll try a different take. Secretary Gates really likes to say that he’s trying to prepare for the more realistic types of threats that will happen, not these worst possible [inaudible] in the future. He said that a lot when it came to the F-22. [Inaudible] and starting new ones. A: If we can clarify. Worry is a bad word. I think a better one is, because I’m a very pragmatic business-like person. So what am I focused on? I really am focused on those things that I don’t know and I need to understand better. So the non-kinetic is the area that I needed to spend more time. I spend time on the technology, the hardware, the kinetic side of the house as well. So you’ve got to have a right balance, but where am I putting more of my attention? Certainly on the non-kinetic side because that’s where we’re seeing new capabilities being developed. I am concerned, I am focused also on the technology that’s being developed around the globe that I don’t know about yet. So I’m a political science major, but I really rely on people who deal with engineering and science and the math and the physics of what’s possible in terms of new capabilities, whether it’s doing something on a network or developing a new weapon system, so I’m concerned about those things too. Those new technologies that I don’t want to be surprised about. I want people looking at those issues. A: No, I’m saying we’re going through a transformation if not a revolution in military capabilities these days, and it’s more towards the information, the non-kinetic, the cyber side of the house. We are at the front end of that. The Chinese military is in front of that. So I don’t think we’re behind. I think we are progressing. We are maturing our capabilities. Are we in the position where we need to be for our future? No. But we’re building the foundations. This last year in the Navy we focused an awful lot on organization and on initial capabilities. We were extremely focused on enhancing our electronic warfare capabilities in the Navy. We’re doing that. We are advancing our ISR capabilities. We are stabilizing our networks and the fundings that go into our ashore and afloat networks. And those are — Cyber. We’re training professionals in the cyber arena, but have we trained everybody? No. We are at the front end of some of these initiatives. Q: So you’re at the front end and China’s at the front end, who’s got the lead? Who is more at the front end? [Laughter]. A: I think it’s a new area of warfare that major powers, major nations, and even other nations are looking at and developing. Around the globe you have a lot of folks with wakeup calls starting in Georgia about the ability of people to take down a network or to be able to manipulate or influence another nation’s networks. Those got a lot of attention. So yeah, we’re at the early stages of some of our development there. Are we shifting completely from kinetic to non-kinetic? No. Are we shifting from irregular warfare like Afghanistan? No. We really need to commit the right resources to win in Afghanistan, to be successful there. But at the same time, and I’m speaking for the U.S. Navy, we are looking at other types of elements of warfighting, especially in the information side, where we need to make improvements. So it’s not either/or, it’s both, and at the same time we’re going through a significant transition. A: Can I get back to you on that? I’ll give you an answer to that, but I would give you an inaccurate answer if I answered it just today. Q: We’re out of time. Admiral, thanks for coming in.